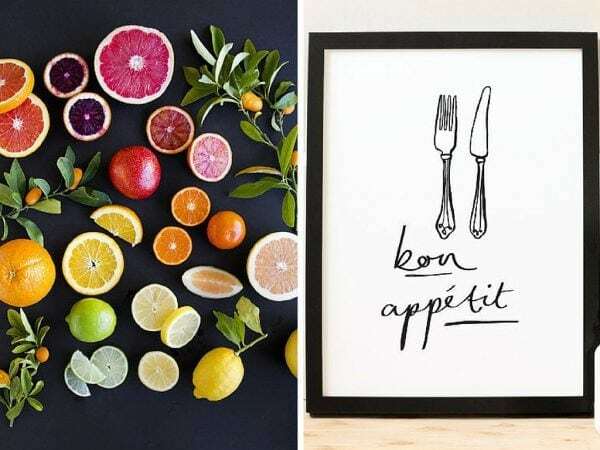 Need some fun ideas for some kitchen art to spruce up your walls? 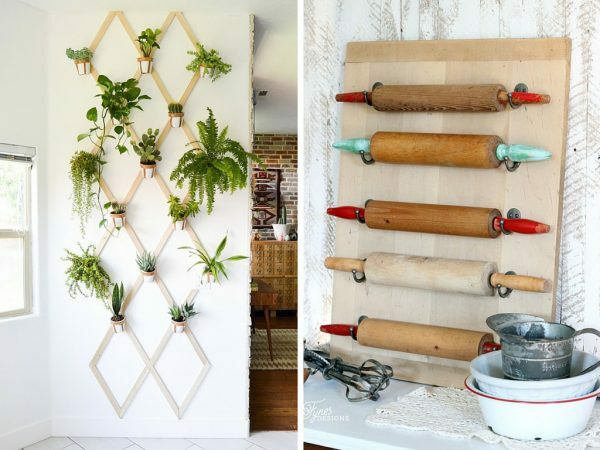 Here are more than 20 beautiful kitchen wall art ideas that are all either free, DIY, or totally affordable! I’ve been working for a few months now on giving our kitchen a bit of a makeover – we’ve painted the cabinets, we’ve painted the counters, and we’ve updated the backsplash. Our kitchen is looking so much better than it ever has before, but now we’re at the point where the big things are mostly taken care of and it’s time to focus on the little stuff. 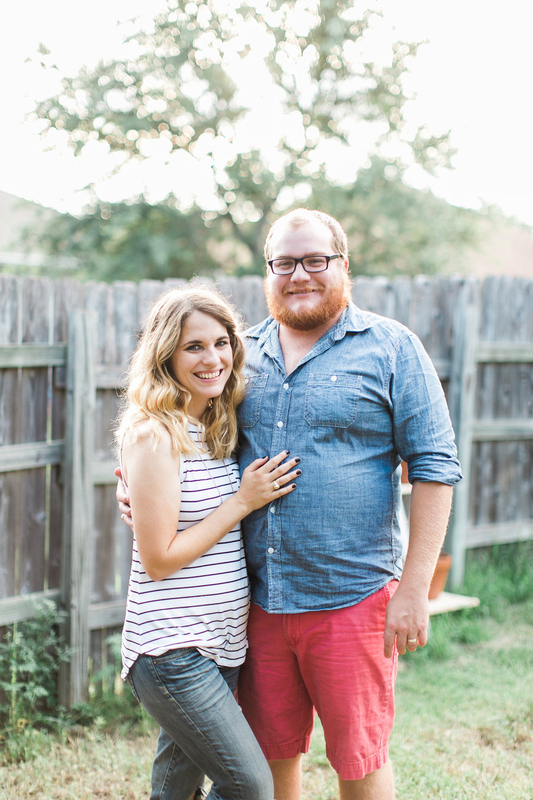 Update: Click here to see the full before and after of our kitchen! 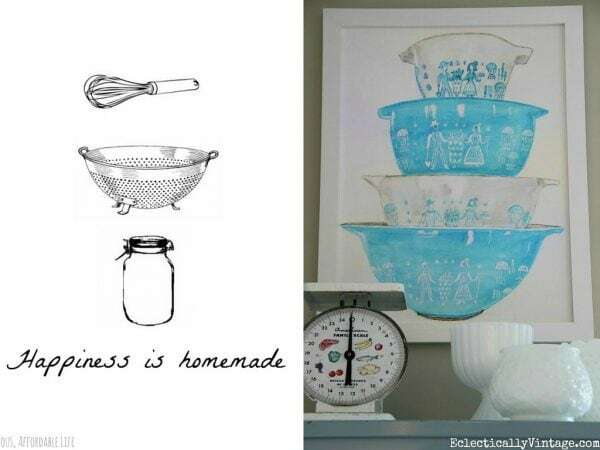 I’ve always really loved quirky, cute art in kitchens. Kitchens are such a functional place that sometimes they can turn a little boring if you ask me. We have a perfect space on a wall in our kitchen for some big, impactful art, and I’ve always struggled with what to put there. I’ve currently got a couple of dishtowels framed, but I never really loved that as much as I wanted to, so with this update I’ve been dreaming of what I can put there instead. 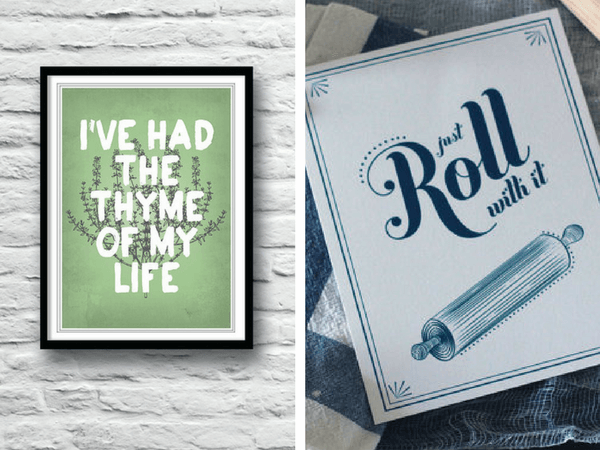 Today I’m rounding up a bunch of my favorite art prints, printables, and DIY ideas for the kitchen – maybe I’ll end up with one or two of them in ours? 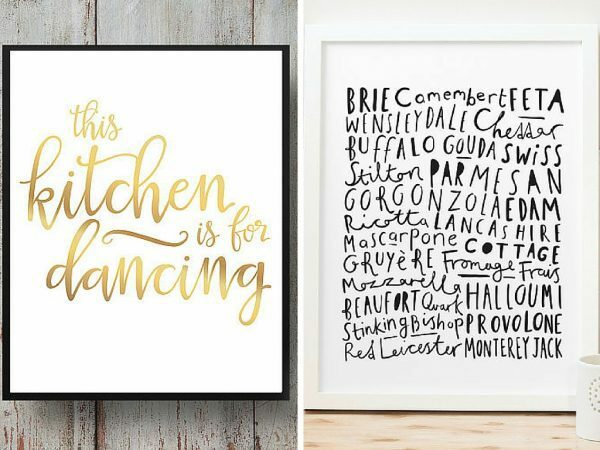 Probably the easiest way to add a little bit of excitement to your kitchen walls would be to purchase a print. Art can be pricey, but thanks to Etsy there are hundreds (thousands?) of artist out there who make beautiful prints and sell them at an incredibly affordable price point. My favorite kind of art to purchase on Etsy is the kind that you can instantly download and print at home – I just send it off to my local photo shop and have it printed – it’s much faster than waiting for shipping, and you can get a much better price that way too! 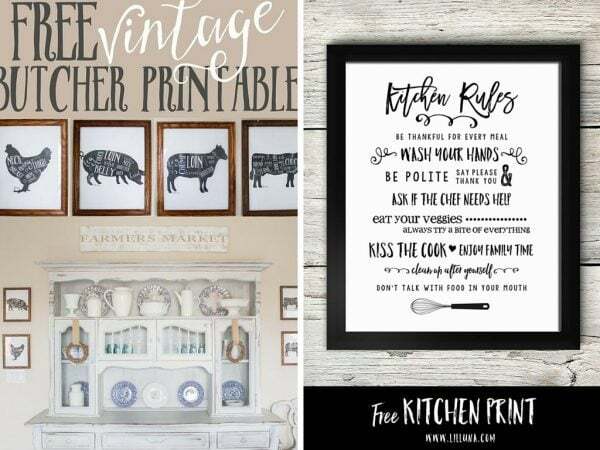 Perhaps even easier than purchasing an art print for your kitchen walls online would be to find a free download for one! Many bloggers are incredibly talented graphic designers who just so happen to be generous enough to share their work for free. All of the below prints are ones that you can download without paying a dime and print right at home. Score! If you don’t want to purchase or download something, you can always take the DIY route. 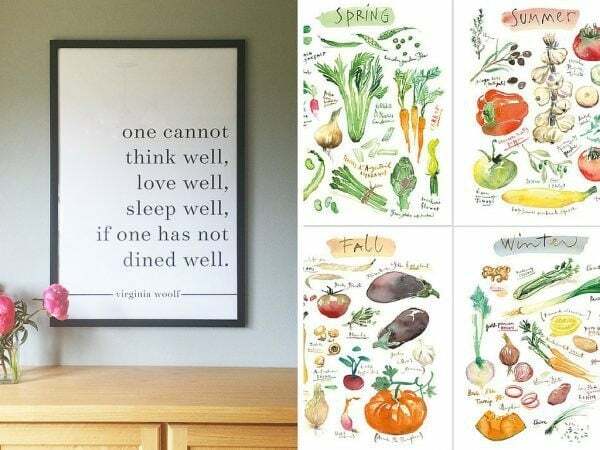 If you create something for your own kitchen walls, you have full creative control over the end product and it’s probably going to add a little more dimension and excitement to your walls than just framing a print! 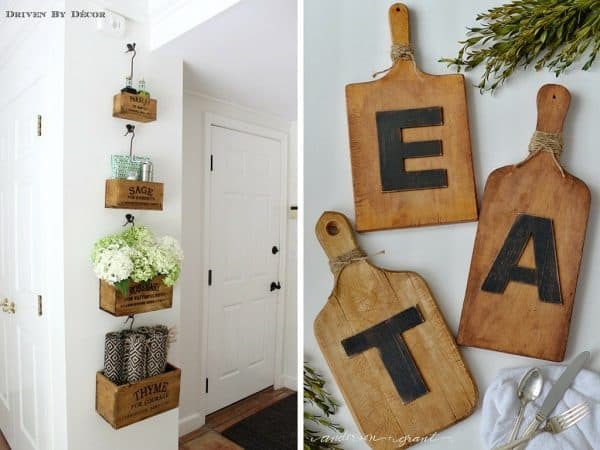 We did this with the Fixer-Upper-Inspired Wood Sign that we created for our kitchen, and we love how it turned out! Which one is your favorite? I’m feeling so inspired now! 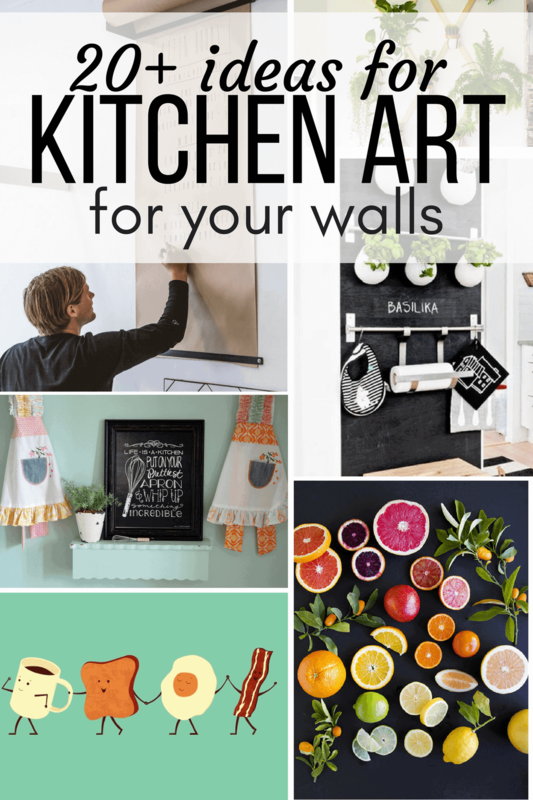 There are so many fantastic ideas here and I can’t wait to get started sprucing up our kitchen walls! 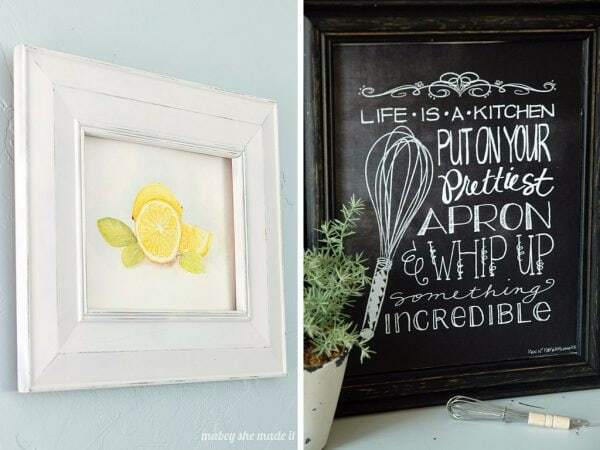 I’m dying to have a grownup chalkboard wall in the house somewhere. 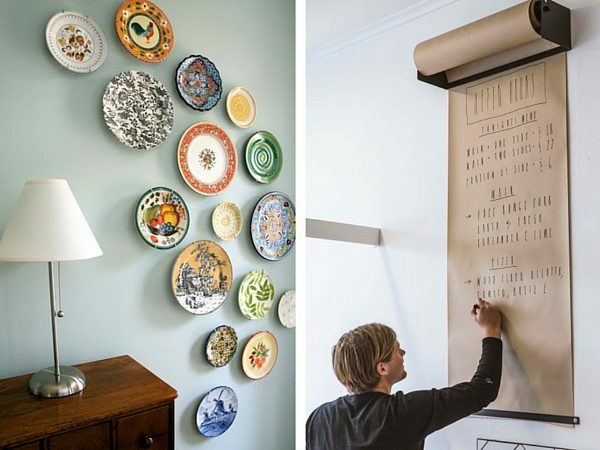 Love that and the wall-mounted kraft paper. 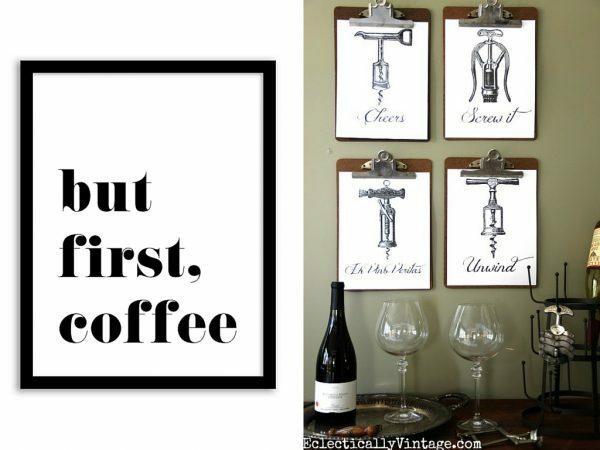 Hoping we’ll be ready for a few of these ideas in our kitchen in the next month or so. 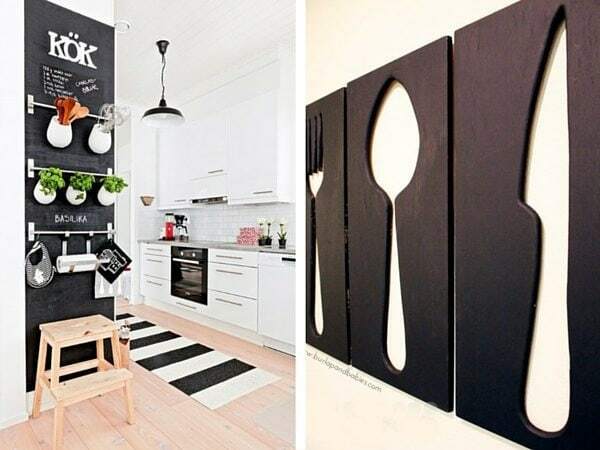 Yes, I’m in love with chalkboard walls too! I’ve got this print in my kitchen in that spot where you took out that cabinet. it helps fill the space and hide the phone jack we have no intention of using.